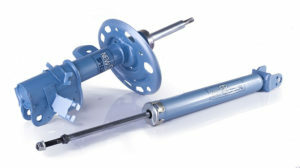 KYB is one of the world’s largest manufacturers of shock absorbers, supplying around 50 million original equipment shocks annually to world leading vehicle manufacturers. 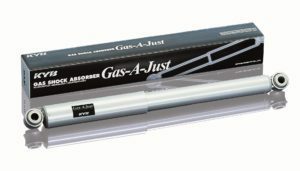 Today, 1 in 2 cars in Japan, and 1 in 5 passenger and light commercial vehicles in the world are leaving the production line fitted with KYB shock absorbers. KYB Shock Absorbers also manufactures a range of original equipment heavy commercial shock absorbers for leading Japanese brands. 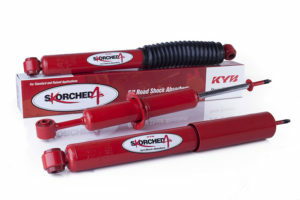 KYB responds to a broad range of car suspension needs with the advanced technologies only a manufacturer specialising in shock absorbers can provide. 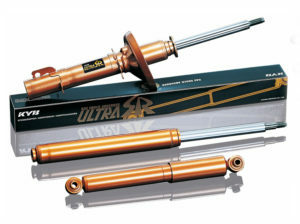 Performance upgrade shock absorbers are specifically engineered to guarantee superior handling and stability under extreme driving conditions. 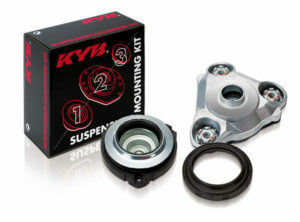 KYB Suspension Mounting Kits contain all the components that are required for correct installation, such as struts mounts, bearings, mounting plates, mounting nuts & bolts. The upper strut mount supports and bearings are recommended to be replaced at each change of a strut - as they actively raise vehicle safety and comfort. KYB Protection Kit contains all the components that are required for correct installation, such as a bump stop and protection boot. 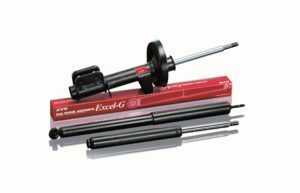 The bump stop and protection boot are recommended to be replaced at each change of a strut - as they actively safeguard a struts' long-term performance and durability. 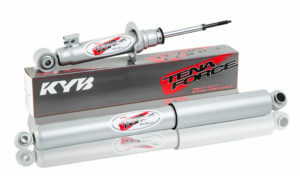 A Steering Damper controls the sudden steering wheel movements based on variable adjustments to road conditions.As a OE supplier, KYB Steering Dampers have been designed to maintain optimal steering control for both city and off-road terrain. 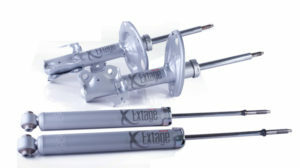 All KYB Steering Dampers are engineered to decrease wheel shimmy, which reduces tyre wear and steering vibration. Copyright 2017. NGK Spark Plug (Australia) Pty Ltd.